The base of Divina Seguros Joventut gets its fourth award as Player of the Day in the Endesa League. When we thought we had seen all that was capable of Nico Laprovittola, the Argentine arrived and surprised us again. The base of Divina Seguros Joventut has made history by scoring 40 points against Herbalife Gran Canaria, a figure that has served to lead a new triumph for his team and to conquer a new designation as Player of the Conference. Los 34 credits of valoraci that has obtained at the end of the meeting they give him this recognition for the second time this season and fourth of his career in the Endesa League. And as we said, the key to this figure has had its spectacular success facing the basket. The green-black game director did what he wanted during the almost 28 minutes that remained on the parque of the Olímpic, driving every player that Víctor García, coach of the island team, was in charge of his defense. Along, he showed an effectiveness difficult to achieve, highlighting his ease to score from any position. An incredible 7/10 got from the triple, getting that same amount (7/10) when what he launched were baskets of two points. Además, he converted 5 of 7 in free throws, to add the aforementioned 40 points. This figure was not obtained by any black-and-white player since Roy Fisher did it on December 21, 1995, in a match also played in Badalona and had as a rival, curiously, the same team as this Sunday, the CB Gran Canaria, although in that occasion the triumph fell on the visiting side (94-105) . 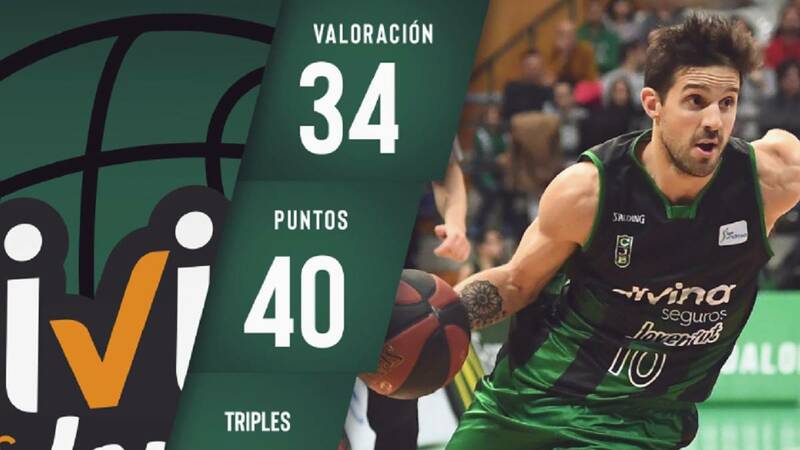 The 40 points of Laprovittola also equal the 4th maximum score of the green and black club in era ACB after 47 of Randy White (1995), 44 of Jordi Villacampa (1986) and the 43 of Joe Meriweather (1987) . The Argentine base completed his masterful performance distributing 3 assists in a perfect connection with Shawn Dawson that, thanks to him could score 7 more points in his private account and in his team. A plug on a pitch by Eulis Báez and 5 fouls received sealed his statistic with the mentioned 34 credits of aloration, matching his top in the competition. After confirming his appointment, Nico Laprovittola was still amazed by his great performance. "I can not believe it, 40 points seem to me very many and I still do not fall, I enjoyed the game a lot, to play against a Euroleague team, like Herbalife Gran Canaria, but above all to have achieved the victory," he said. The director of the green-black game highlighted that "we all work so that Penya can win, the commitment is maximum, I am very happy, but we must continue in this way, keep fighting and remain united as a team, to continue winning more matches". Finally, he wanted to "thank my teammates, the team, the technicians, Badalona and Penya, and, above all, my girlfriend Delfi, who supports me a lot and puts up with everything" .